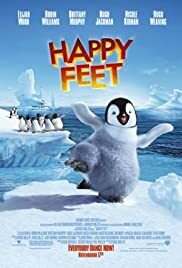 Happy Feet, directed by the man who gave us both Babe: Pig in the City and Mad Max, is just the kind of feel-good animated film that works on a few different levels; it'll make you laugh, it'll make you cry, and it'll inevitably, unquestionably, make you tap your toes or bounce your leg, right there in the theater. It's charming and exquisitely detailed, and it succeeds where it really counts: It makes you really feel for the lovable lead penguin, Mumble (voiced by Elijah Wood). Mumble is an unfortunate penguin, you see, because was born with no singing ability, and in his penguin tribe one attracts a mate through the use of song. The poor flightless bird can only look on helplessly as his fellow hatchlings croon their little hearts out. Amazingly, though, Mumble can tap dance, a big no-no in the penguin community. Soon, with no heart song to guide him, Mumble isn't permitted to graduate from school, to the chagrin of his Elvis-like dad (Hugh Jackman) and his songbird-like mom (Nicole Kidman). Mumble heart belongs to the best singer in his age group, Gloria (Brittany Murphy), but without the gift of song he can't hope to woo her. Worse, with the penguins' food supply running out, some of the other birds begin to blame Mumble's foot-tapping, that somehow he is angering the great god Guin. The sad-sack penguin is then drummed out of the penguin corps, shunned for his lack of song and strength of feet, and he runs into another penguin colony, one that uses pebbles to woo their females instead of song, and makes new friends - a Latino-sounding quartet that's high on life, full of zest and pizazz and charisma, everything that Mumble's old group isn't. Then Mumble hears from some predator birds of mysterious "aliens" who probe and attach tags to their victims. Mumble thinks these aliens might have something to do with the lack of fishies for everyone to munch on, so he and his new pals head off on a Quest to find these aliens and ask them to stop stealing all the fish. Some of the scenes are beautifully imagined, including attacks by sea lions (quite harrowing, actually, until its denouement), vultures, and killer whales, not to mention every time Mumble and/or his posse leap off a cliff and slide down the side like avian sleds. Or through ice tunnels. Or through the water itself, shooting like streaming jetliners with mile-long contrails. Gorgeous animation. At its heart, the movie is about how it's okay to Be Different. It's about how older folks sometimes hold prejudices that are as illogical as they are insulting, and how they'll often pass along those prejudices to their children, sometimes through direct actions and sometimes by dint of their inaction when wrongs are being perpetuated. Robin Williams takes on four roles in this movie: the Narrator (where he's excellent and not at all hammy), Ramon and Cletus (two of the feisty new penguins), and Lovelace, a self-professed penguin guru to whom penguins go to have their problems solved. 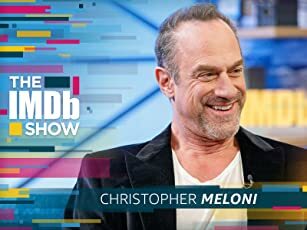 On the one hand, Williams is delightful doing what he does best, improvising rapid-fire comic patter to get laughs; on the other hand, he's Robin Williams, and although there are differences between his voice characterizations, they all bear a strong resemblance to one another. As with most animated films, the movie is well-cast; Jackman is particular has an appealing Southern drawl (ironically, he and Kidman are Aussies playing penguins with southern accents). 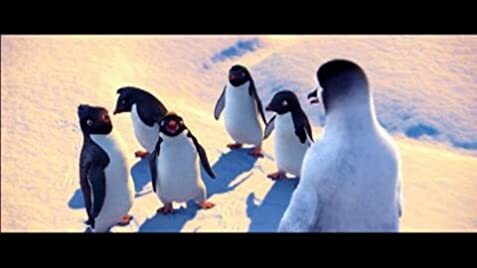 In the wake of the phenomenal, surprise success of March of the Penguins, Happy Feet makes your heart soar from start to finish. It'll be very difficult not to shed a tear at the mistreatment of Mumble by his peers and his elders, and it'll be near impossible to thoroughly enjoy this dazzling animated offering.